When you are looking to replace a missing tooth, or series of teeth, you will very likely come across information about dental implants. A dental implant procedure is the result of a revolution in cosmetic dentistry that has taken place in the last 45 years. In this time, the technology and materials used have advanced to make implants a great option for many people. 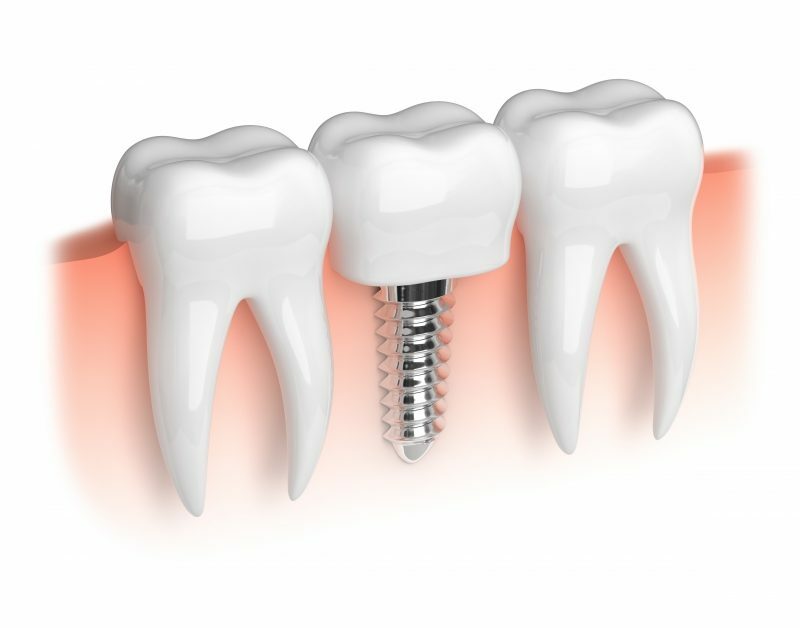 To find out if you are a good candidate for a dental implant procedure, you can read this blog. If you think you might be a good candidate, and are interested in learning more, call Library Plaza Dental for an appointment with a cosmetic dentist. To review, a dental implant is an artificial tooth that is attached to an anchor that is sunk into the jaw bone. There are some implants that go just to the bone, and not into it, and those will be discussed in the future. Because dental implants are anchored in the jawbone we will take a closer look at the role of the jaw bone and the benefits it gets from a dental implant. The jaw needs to be of substantial density and health to be able to receive the implant anchor;it if is not, an oral surgeon can perform a bone graft procedure. During this procedure, a small piece of bone from somewhere else in your body, your hip for example, will be grafted to the part of the jaw bone that needs augmentation. Before the implant procedure itself can take place, the bone graft will need time to heal and this can take up to nine months. During this time, you can be fitted with a temporary bridge. One of the best reasons to choose a dental implant, over dentures or a bridge, is the benefit it gives to your jaw bone. When you have a missing tooth, the bone underneath, that used to hold the tooth, can be reabsorbed by the body. We’ve all seen images of elderly, toothless people who seem to have a lower jaw that is dramatically thinned. What is happening there is resorption after tooth loss. This can happen after the loss of even a single tooth, albeit just under that one tooth. When you choose a dental implant, the stimulation that the bone receives from the anchor is enough to keep the blood flow to the jaw active and reabsorption is avoided. Keeping the jaw healthy is a benefit that you will be able to enjoy your whole life because it will maintain your facial structure as you age. A dental implant procedure may seem to be a complicated way to replace your missing tooth or teeth, but the benefits are worth it. A dental implant looks great and benefits the long term health of your jaw bone. If you are interested in learning more about dental implants, make an appointment with a cosmetic dentist at Library Plaza Dental.